I spend a lot of time here describing „big” robots. 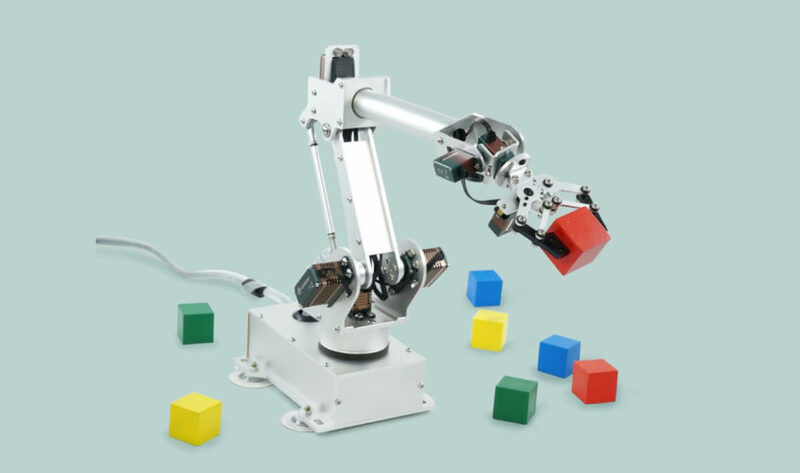 To start playing with robotics, you don’t need to buy an industrial device at all. Below is a short list of robots you can play at home. Instead of spending tens of thousands of euros, it is enough to spend several hundred. uFactory offers three models with similar design. All have 4 degrees of freedom (the same as the „big” robots used for palletizing). The cheapest version is $499, the price list closes the model for $1299. The list of accessories available to the robot is quite long. In addition to the suction cup or gripper, you can also order a 3D print head or an engraving laser. If you want more on two axes, then it’s worth taking a look at the Niryo One. 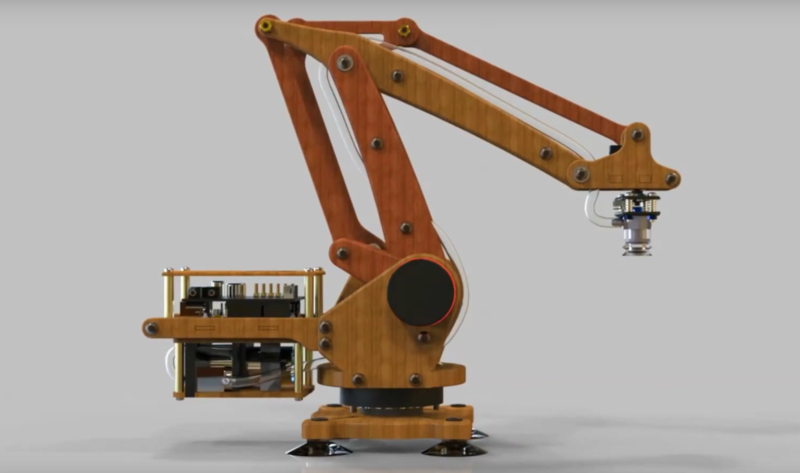 Having a robot with six degrees of freedom will cost you €699 if you choose a self-assembly kit and … self-contained 3D printing. If you don’t have a 3D printer, the price of a model that comes with all the components rises to 849 Euros. At the moment, a product that is not available. The Kickstarter campaign was a success, the robots were produced and sent to the people who supported the project and… for now it’s all. I don’t see the possibility of place an order, and it’s a pity, because on a crowdfunding platform its price starting from as little as $297, which for a device with six drives and a metal construction is an exceptionally good price. But if you want to have a real industrial manipulator at home, maybe it’s worth sewing a dragon’s costume for him, so that he doesn’t scare your children?